The Dallas metroplex is a thriving area that continues to attract new residents and visitors. If you are a commercial hotel or apartment complex builder that could use a new pool contractor, the experts at Summerhill Pools can help. 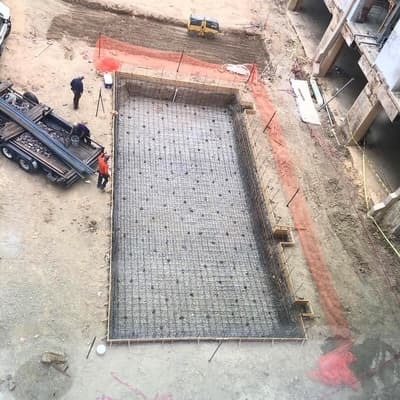 We offer dependable commercial pool construction in the Dallas area, installed by our team of highly experienced builders. Our team is familiar with local laws, building codes, and safety regulations in the Dallas area, and we look forward to helping you design and build your brand new commercial pool. Contact us today for a quote. Summerhill Pools understands how important it is to receive your pool pricing in a timely manner. Our expert estimators will use their knowledge and trust in the industry to make sure that you get an estimate that is competitive and accurate. Our in-house estimators are ready to start working on your project today. After you accept the pool designs and estimate, our engineer will begin working on the pool and have it ready for permits in a timely manner. When you decide to get a pool installed on your commercial property, you don’t have to automatically go with a traditional design. At Summerhill Pools, we create custom commercial pools that are available in an impressive range of designs and styles. Whether you’re interested in a large lap pool for a swim school or a luxurious pool with a waterfall and LED lighting displays for a hotel, we’re here to create the perfect pool for your needs. Our designers will meet with you to survey your property, discuss design options, go over your budget, and select finishes and features for your new commercial pool. We welcome your pool design ideas during these initial meetings. If you have pool design ideas in mind for your property, our designers can come up with a design that incorporates them. During our commercial pool design process, we will also thoroughly go through your contract and ensure that all permit applications for your project are submitted and approved. If you have other construction going on at your property, our pool builders will avoid causing them any interference. Swimming pools are designed to last for quite a few years, but even the highest quality ones need repairs from time to time. Whether you have a broken pump motor that needs to be fixed or a pool filter that isn’t working properly, our repair department can provide you with prompt repairs to get your pool up and running again. Our commercial pool repair department has several years of experience fixing pools for hotels and other commercial properties in Dallas and the surrounding areas. Keeping your commercial pool in good condition is necessary to ensure that swimmers who use it have a safe and clean environment. Broken filters can cause algae, bacteria, and other organisms to thrive in the water, which can be a health hazard. Pool leaks that are not repaired can create slippery surfaces around the outside of the pool which increases the risk of falls and slips. Our team of pool experts at Summerhill Pools is here to repair your commercial pool as quickly and efficiently as possible to make sure that it is always safe. Our commercial pool repair experts can also make repairs to your pool decking as needed. If the decking is in bad condition with trip hazards and needs extensive repairs, we can resurface it or replace it altogether. No matter what kinds of repairs your commercial pool needs, our team is ready to provide you with the assistance you need. Designing and constructing commercial pools requires the right experience, equipment, knowledge, and skills. Summerhill Pools has built a reputation for being one of the top commercial pool builders in Dallas, TX. We’ve worked with Hyatt House, Marriott, Hampton Inn, Urban Manor Apartments, and many other respected hotel chains and apartment groups. When you need a new commercial pool constructed or repairs for your current pool, we’re here to help. Our experts will help you come up with the ideal commercial pool for your property, whether you own a swimming academy for children or an upscale apartment complex with luxurious amenities. When you choose to hire Summerhill Pools for your commercial pool project, you can depend on getting reliable service. We have a strong commitment to providing each of our customers with outstanding customer service and a quality pool that best fits their needs. Our experts will guide you through the budgeting and permit application processes and then handle all of the construction so that your pool is up and running promptly. Our commercial pools are available in a wide range of sizes, shapes, and styles. 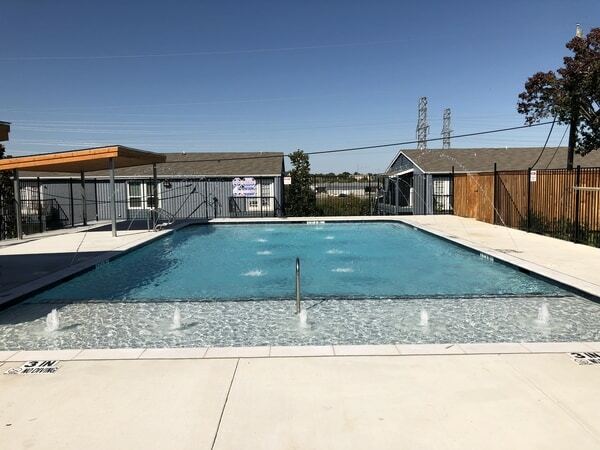 No matter what kind of custom pool you get for your commercial property, you can count on getting one that is highly durable and made to handle the area’s summer heat waves and rough winter weather. Summerhill Pools knows the challenges and expectations in building and remodeling commercial swimming pools. We understand that it is a specialized field that requires extremely experienced pool professionals who understand the current laws, safety regulations, and codes. Summerhill Pools can take a commercial swimming pool from concept through completion or work from engineering plans according to specifications. We can provide input on which systems and equipment will be the most efficient and easiest to operate, and also have an extended life cycle. When working with general contractors, we are very aware that we need to not only provide the best quality of construction and service, but we must also do so without interfering with other concurrent construction. We are also pool remodel and renovation experts and can do anything from a simple resurfacing to a complete makeover. We have completed hundreds of new and remodel projects in several national hotel chains, indoor swim schools, and apartment complexes. Contact us today!